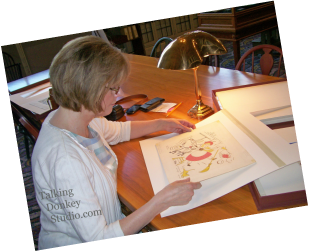 At the Cleveland Public Library, examining original artwork by Lois Lenski. ​ God is my enabler, any talent I have comes from Him. ​ dream of writing middle grade. I work traditionally in watercolor, graphite and acrylic. with the coffee brewing and the paint flying.